- exchange *some* currency at a good, independent currency exchange place at home (Halifax does not currently have any recommended exchange places. You may need to try your local bank). There's also the Fido Mastercard, which is essentially the exact same card. This card is similar to the Rogers Platinum above, but it's actually even better. It has a little bit of travel insurance (but not nearly as comprehensive as the Scotiabank Passport below). Currently, you can earn a bonus of 40,000 Scotia Rewards points after making $1000 worth of purchases in your first 3 months. Is there any way to avoid paying high fees when making ATM withdrawals in other countries? All banks will charge the hidden fee (inflated exchange rate) but Tangerine / Scotiabank is the one bank that won't charge the additional obvious fee, if you withdraw from an ATM in the Global Alliance. There's also the Stack card (see below), which avoids the hidden foreign exchange fee, but you are still charged the obvious fee. Are there any prepaid or reloadable credit cards that avoid foreign exchange fees? Virtually all prepaid or reloadable credit cards are charging you the hidden fee (inflated exchange rate), and even worse, they usually have additional obvious fees. You are better off using a no foreign exchange fee credit card. You install the free app, and within a few weeks they send you a reloadable Mastercard that you can load with funds from a variety of sources (no fees for loading). When you make standard purchases with the Stack Mastercard, there are absolutely no foreign exchange fees, hidden or otherwise. When you withdraw cash from an ATM, you avoid the hidden foreign exchange fees (inflated exchange rates), but you are still charged the obvious fee by the ATM provider. Beware: I have heard that with some machines, if you use the tap method to pay, you may not even be asked, and it will automatically charge you in $CAD, with the terrible exchange rate. 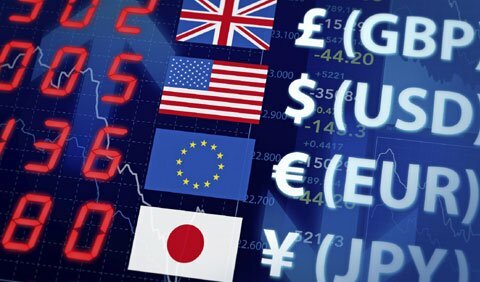 Is there a way to avoid foreign exchange fees when sending an international money transfer? You may want to look into TransferWise. They use the real exchange rate, without the hidden 2.5% markup. There is still an obvious fee (small percentage and fixed fee) but they are transparent about it. halifax, yhz, articles, credit cards, travel rewards cards and no foreign exchange fee credit cards. 5 Responses to "What is the best way to exchange money or pay for things in a different currency?" I use ICE for my Mexican pesos - located at the Halifax Shopping Centre and at the airport. I get a better deal than I do at my bank (ScotiaBank). Do you not recommend them? I know that in other Canadian cities, ICE is known for having quite inflated exchange rates and high fees, particularly at airport locations. Airports in general have the worst rates. They can get away with it, just like they can get away with high food prices, due to the convenience factor. But I also know that it's tough to find an exchange place with competitive currency exchange rates and low fees in Halifax, and other Canadian cities outside of our country's largest cities. So if their exchange rates (and fees) are beating your local bank, it might be about as well as one can do when exchanging money at home. Thanks, Chris. I believe the rates are the same wherever you pick them up. You have to pre-order. I took a look on the ICE website (ice-canada.ca) and it shows what exchange rate they're using when you order the currency to be picked up at YHZ. The percentage difference between 13.06 and 14.36 is about 9.5% - pretty high! Next I tried the Halifax Shopping Centre location, and the difference was 7.4%. A little bit better. If you try other locations on the ICE website, such as Robson street in Vancouver, you can see that the exchange rate difference is about 4.5%. Still a little high, but closer to that ideal 3%. The increased competition from other exchange rate places (such as VBCE branches in Vancouver, which are known for having really good rates) is likely the reason for the better rates from ICE in Vancouver. Hi Chris, I'm a new subscriber and this is the first blog post of yours that I've ever read. Excellent tips, I like the way you think and I'm definitely going to check out that Home Trust Visa. In the past what has worked for my wife and I when traveling in the USA is the Costco MasterCard and BNS Momentum Infinite Visa. The Costco card gets you 3% cashback at restaurants, which oddly seems to get clawed back to 2.9% when you use it at a US restaurant, but it still allows you to beat the posted exchange rate when you factor in the cashback. Same principal with the Scotia Momentum Infinite, it gets you 4% cashback at grocery stores and gas stations, which is crazy good, but only if you're into groceries and gasoline. It also has an annual fee. Anyways, some other options to keep in mind. Thanks again for the tips!